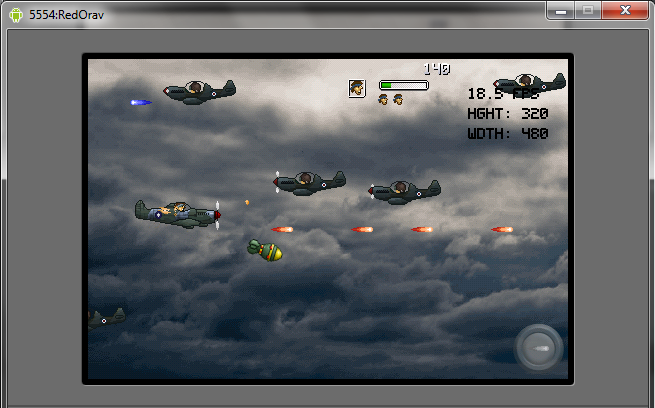 Will of Flame is a classical shoot ’em up, run and gun game with a couple of differences that make it different. First of all, it separates the movement (firing and dodging) of the character from the control of the weapon, giving the player a stronger sense of control. Second, the scenario is totally interactive, so it’s key to creatively use your weapons to destroy enemies. Third, a special weapon, the Gravity Gun, resurrects an old gameplay idea where the character can move enemies with an attracting beam and push them to their doom, whether it be an impaling stalactite, an underwater mine, an electric anemone, a propeller, etc. Only your imagination is the limit for creative combos! After two years of interrupted development, Will of Flame underwent a crowdfunding campaign through Indiegogo but was not successfully funded, and the game’s development has halted. The game is developed in Unity using C#, and several plugins are used for added functionality: 2D Toolkit, NGUI and Energy Bar Toolkit. The game can currently be built for Android, iPhone, as a web application, and PC/Mac. Originally, graphics were inspired by the famous Metal Slug series but were later revamped into the picture above. 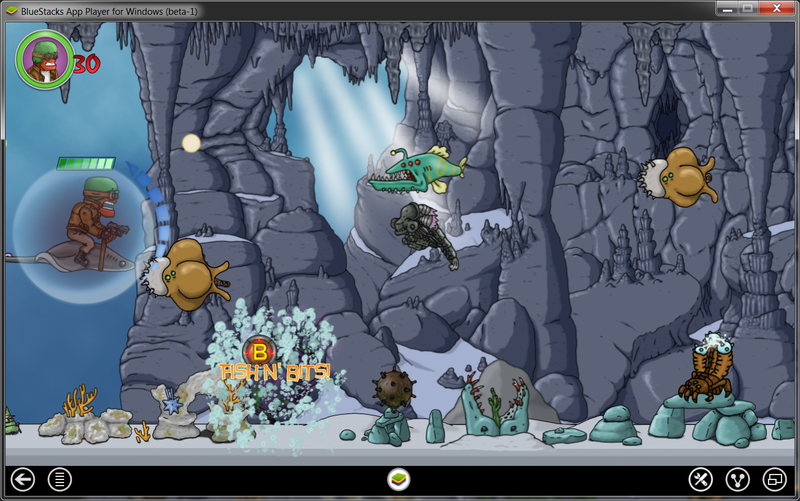 The game was under development using the Java Android platform for many months, and later ported to Unity. This page is a testimony to all the work behind the pure Java Android version. 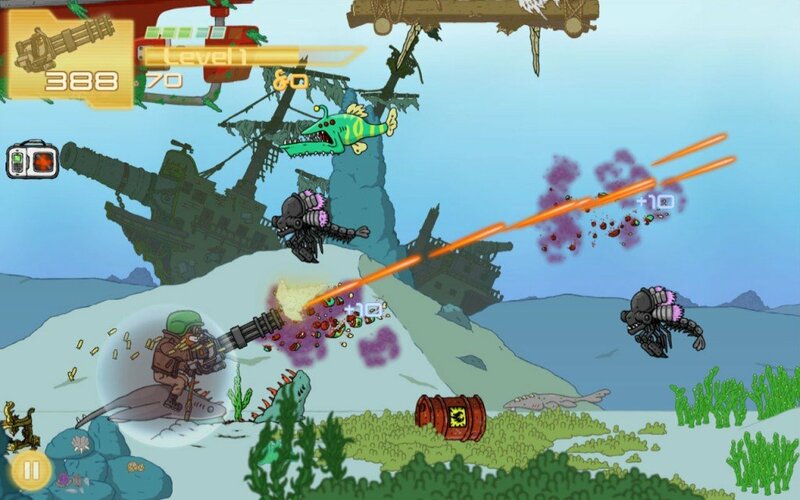 The gameplay evolved in two stages: it was originally conceived as a classic shoot ’em up, then changed to be an atypical side-scrolling game – you would no longer control your character, but with his psychic powers you were able to move enemies around, crashing them into the dangerous scenario, full of pointy stalactites, electric anemones, mines, fish-eating morays, etc. The gameplay became complicated and frustrating for players and since changed. The game engine was developed from the ground up, as a learning exercise. Component-based system. Includes graphics, collision, drag, behavior, touch and animation components. Graphics component programmed in OpenGL ES tested on many devices, including HTC Desire and the Samsung Galaxy Series (Galaxy II, III and Ace), at an average of 30 fps. Collision component based on an implementation of the SAT algorithm. Animation component used spritesheets created with TexturePacker. Also, sprite dicing was supported (for very large environment textures). Touch component captured touch events to create buttons, etc. A particle system for rocket smoke, bubbles, etc. Interactive scenario. Destroy enemies in creative ways! Download You can find the current compiled version here, and download the source code here (no assets).